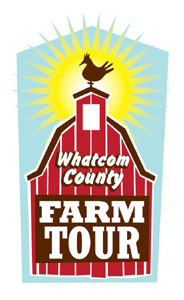 The 3rd Annual Whatcom County Farm Tour is today Saturday September 11, 2010. It’s a great day to get out and enjoy the beauty and bounty of fresh flavors and local food of Whatcom County on this FREE, family friendly self-guided tour. Get out and wander the fields and orchards, practicing cider pressing , and hear stories of the hardworking folks who put food on our tables? Here’s a map to the tour! This entry was posted in 365 Things to do in Bellingham and tagged farms, festivals, food. Bookmark the permalink.